Sunny Tahiti is called the Queen of the Pacific because it's the main island of French Polynesia and the largest of its 118 archipelagos in the South Pacific. 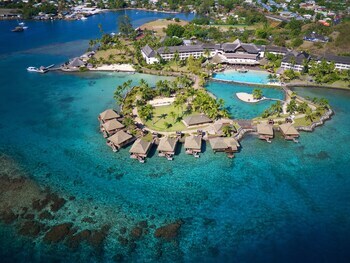 Its main city, Papeete, is the beating heart of the island and also the capital of French Polynesia, which is an overseas territory of France. Tahiti Nui is the populated northwestern region of the island. Many visitors get around this region by taking a ride from a friendly local, but it’s also easy to rent a car and travel the coastal freeway. The southeastern section of the island is called Tahiti Iti and is only accessible by boat or on foot. Learn about the history of the famous South Pacific black pearls at the Pearl Museum in Papeete, or go jewelry shopping at Quartier du Commerce. Find tropical fruits and handicrafts at Marché Municipal. Tahitian cuisine mixes flavors from France and the South Pacific. Nothing comes cheap on the island, but downtown you’ll find some of the best local dishes at roulottes, the food trucks, for a few francs. Try the poisson cru, fish cured in lime juice and coconut milk, and then visit waterfront bars or attend the Les Ateliers “Te Oro” dance workshops. See more of Tahiti’s natural charm with a hike through tropical forests to Mont Aorai, or join a jeep safari to Mont Marau. Watch waterfalls in the Faarumai Valley. Go to Paea to visit Marae Arahurahu, an ancient Polynesian temple, which hosts the Heiva I Tahiti festival in July. 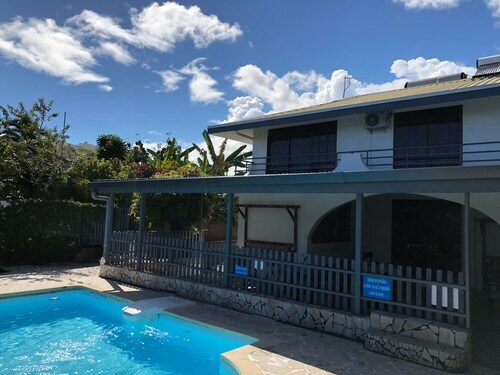 In Punaauia, about 10 miles (16 kilometers) west of Papeete, visit the Museum of Tahiti and Her Islands to learn about the local history and see views of Moorea Island. Mataiea, 32 miles (51 kilometers) west of Papeete, is home to the Botanical Gardens with tropical plants from all over the world. 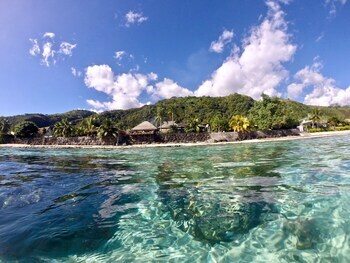 Go scuba diving or snorkeling in the clear waters around Punaauia and Papeete. If you want to stay dry while seeing the local marine life, visit the Lagoonarium. Surf is up at Teahupo’o, home to a world-famous reef break and whales from July to October. 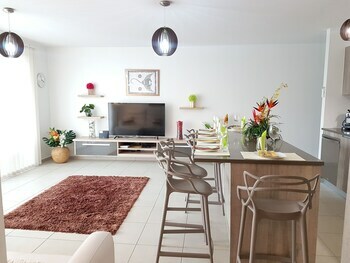 Visitors can arrive in Tahiti via Papeete's International Airport, 4.5 miles (7 kilometers) to the southwest of the city. Flying to Tahiti requires you to first fly to Los Angeles, Honolulu or a major hub in Europe, New Zealand, South America or Northern Asia. This tropical park is home to exotic flora and an historic statue. 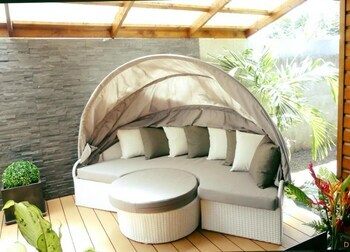 It is an ideal spot for a picnic in the shade of a banyan tree. Divine aromas, delightful tastes and a sea of color stir the senses in this traditional marketplace full of exotic fruit, tropical fish and handmade artifacts. This inspiring structure is the city’s preeminent architectural triumph with its bright colonial features, picturesque grounds and iconic clock tower. Explore a red-and-yellow cathedral, which is the oldest Catholic church in Tahiti and serves as a symbol of French colonial presence from the 1800s. This park conveys a profound political statement in protest and memorial of the nuclear tests carried out over a period of 30 years in French Polynesia. One of the largest pearls ever found is displayed in this museum which is entirely dedicated to the mystical gems. Located on the waterfront, this family-friendly resort is within 6 mi (10 km) of Place Jacques Chirac, Papeete Market, and Parc Bougainville. 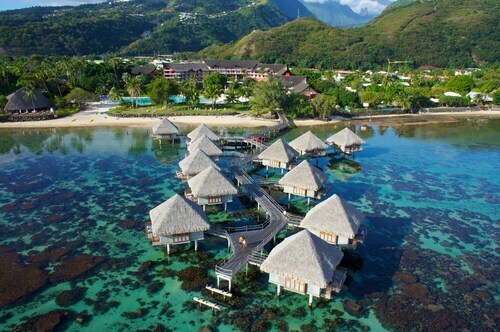 Black Pearl Museum and Museum of Tahiti are also within 6 miles (10 km). 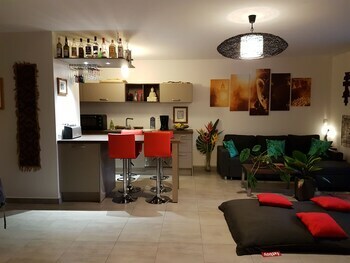 Situated near the airport, this hotel is within 6 miles (10 km) of Place Jacques Chirac, Papeete Market and Black Pearl Museum. Cathedrale de L'lmmaculee Conception and Parc Bougainville are also within 6 miles (10 km). 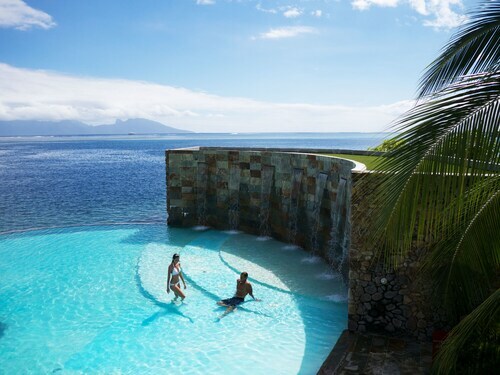 Situated on the waterfront, this spa hotel is 3 mi (4.8 km) from Museum of Tahiti and within 6 miles (10 km) of Vai'ava Beach and Mahana Park. 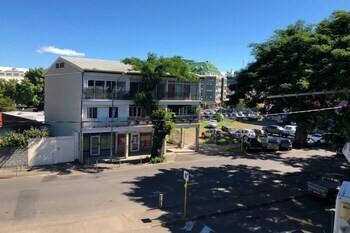 Papeete Market and Place Jacques Chirac are also within 9 miles (15 km). 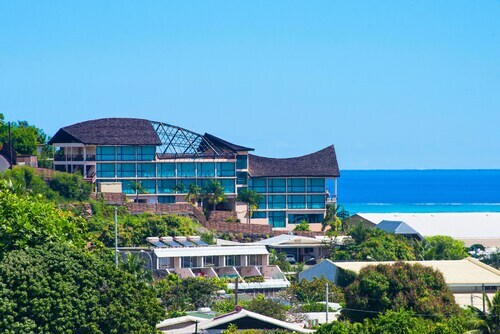 Nestled on the beach, this Arue hotel is within 3 mi (5 km) of James Norman Hall Home, Black Sand Beach and Tomb of King Pomare V. Pointe Venus Lighthouse is 2.6 mi (4.2 km) away. 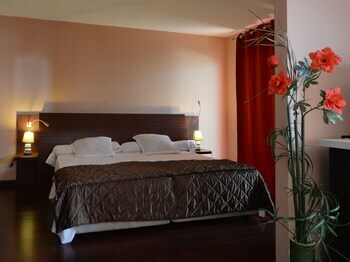 Situated in the business district, this hotel is within a 15-minute walk of Port de Pape'ete and Papeete Market. Papeete Town Hall and Black Pearl Museum are also within 15 minutes. 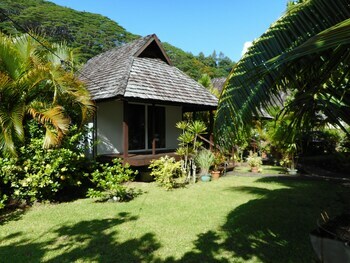 Nestled on the beach, this Punaauia resort is within 3 mi (5 km) of Museum of Tahiti, Vai'ava Beach and Mahana Park. Punaauia Beach and Marae Arahurahu Temple are also within 6 miles (10 km). 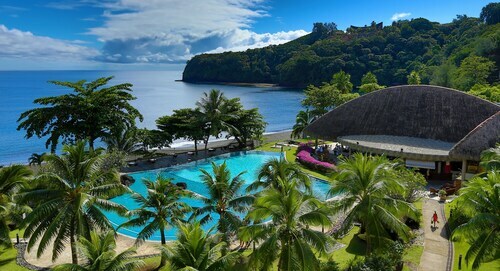 Nestled on the beach, this Pirae resort is 1.6 mi (2.6 km) from Tomb of King Pomare V and 2.4 mi (3.9 km) from Papeete Market. Stade Pater and James Norman Hall Home are also within 2 miles (3 km). 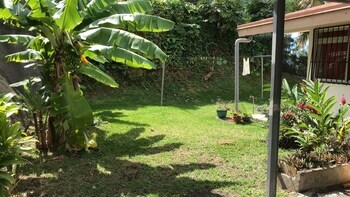 Situated by the ocean, this guesthouse is within 1 mi (2 km) of Papeete Town Hall and Papeete Market. Port de Pape'ete and Black Pearl Museum are also within 1 mile (2 km). LON-All Airports - Tahiti Faaa Intl.